Happy Cinco de Mayo! Can't believe it's May already. It's chilly in the morning right now too but has been rather lovely later in the day. 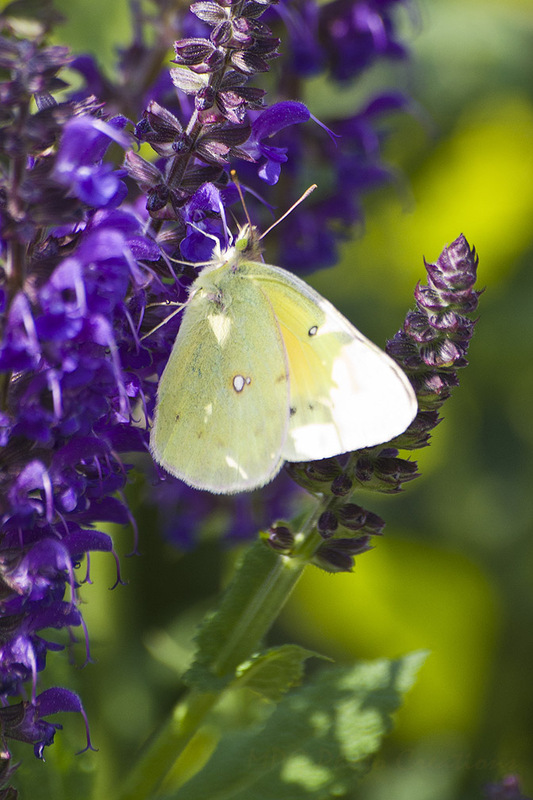 I captured my first Cloudless Sulphur Butterfly on such a day last week. 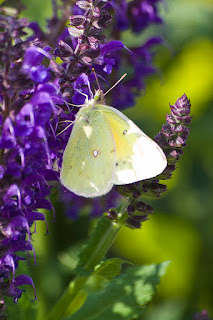 They are difficult to shoot because they are almost constantly in motion flitting from bloom to bloom and very skittish when I get close. I always have to use a zoom lens and wait patiently for them to sit for a moment. I got lucky with this shot that I was ready and got it in focus as well.